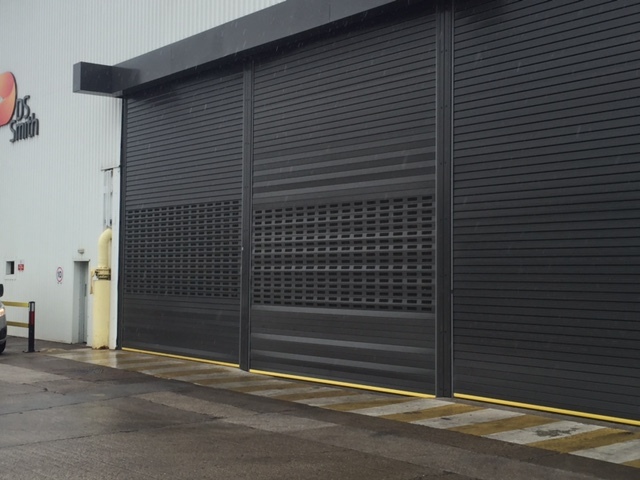 GB Insulated roller shutter doors are custom made to fit any opening and are available in galvanised steel finish or polyester powder coated in a range of complimentary colours to suit all modern building architecture. An insulated version of the commonly used Industrial Roller Shutters with a proven design over decades. The lath design incorporates an insulating thermal foam fill infill with an insulating value of 6.9 W/M.Sq.k and an acoustic value of 18 DBA to offer a smooth running Roller Shutter that conserves heat and reduces noise.